Let the pictures speak for themselves. Posted a Bogue Rat Coin at the World Trade Center memorial site. Awesome experience! 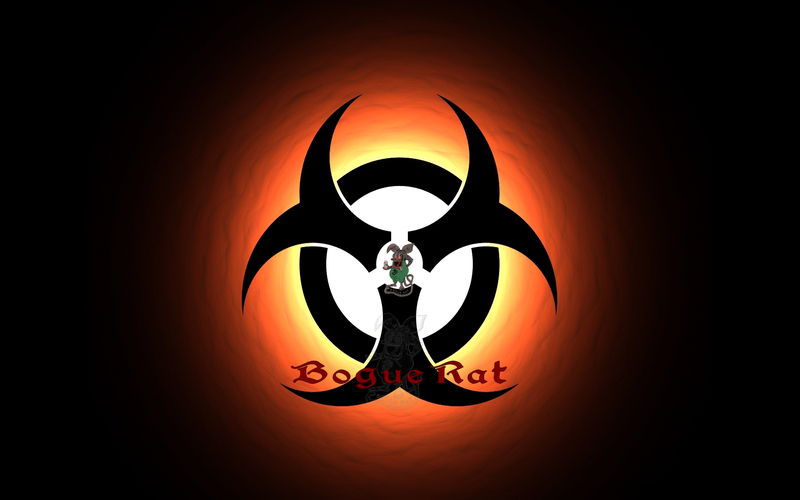 Bogue Rat wallpaper. I created this image for my laptop cover and decided it looked really good on the desktop, too.Â Click the image to view a larger version, click the link to download the high quality .bmp file.Â Unzip the image to your c:/windows directory then set it as your desktop from your display properties (right-click your desktop, click properties, select wallpaper from the desktop tab). You can also purchase them here using the ‘Buy Now’ link below and I will mail the coins out to you. Shipping charge varies by quantity. This list was borrowed from the Open Directory. You can find a couple more at that link. Global Security– History and overview of Marine Corps Auxiliary Landing Field [MCALF] Bogue Field. Smith, Patrick – Veteran’s personal site titled “The Bogue Rat’s Nest”. His biography, message board, and photos of Bogue Field. 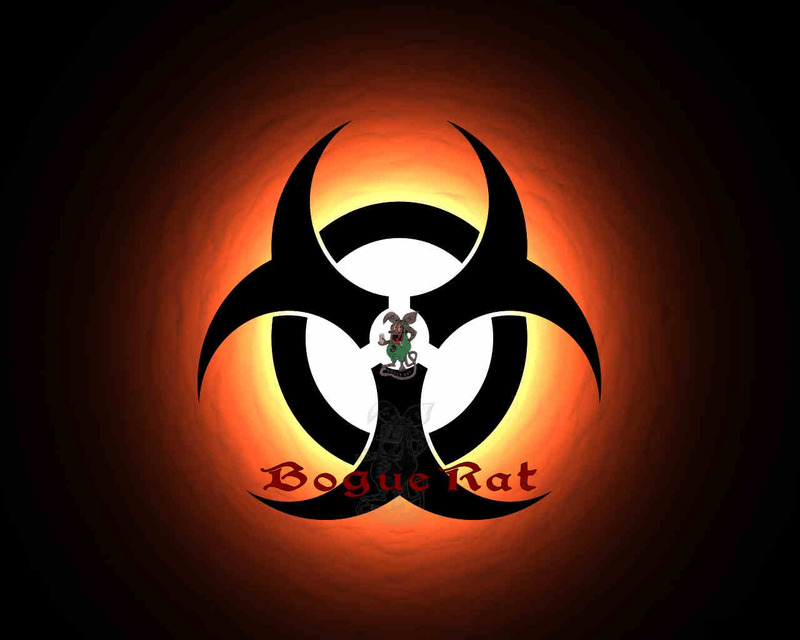 Eventually I will resurrect the old links page from 7011online.com so that you can add your own Bogue Rat hot spots. Captain Palm, former Mayor of Bogue, was recently presented with the Grandpaw Pettibone Award for his article in the Sept.-Oct. 2005 edition of “Approach” magazine. Major General Glueck Jr., Commanding General of 2nd MAW, presented the award. The clipping below is from the July 27th edition of the windsock. C-17 brings Humvees and News Crew to Bogue! Check out the video clip from the Channel 12 evening news program. Somehow, they worked me into the footage despite hiding away on the LHA tower. 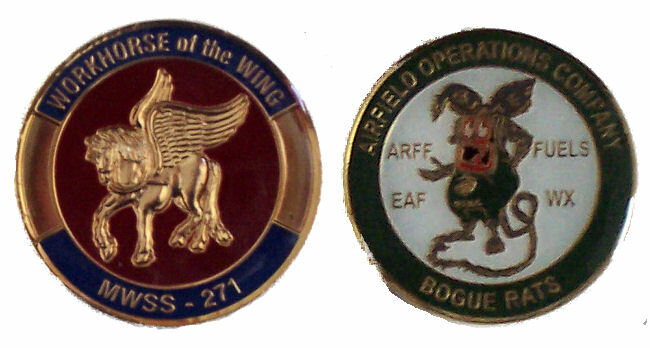 LtCol Coburn has been a proponent of Bogue Field use by C-17’s for a long time.Â SSgt Seeger made the 5:00p.m. but I didn’t see or record the program.Â The Sun Journal has a news story online thatÂ mentions SSgt Seeger. Way to go Bogue Rats!!! Capt “rosie” Palm departed Friday after six months at Bogue. A plaque made from a block of AM-2 matting and an old ARFF hatchet was presented as a token of appreciation for a job well done. My last website host crashed his servers and left me without any service so I have rented space at a new location that has a better chance at supporting us.Â This site will continue evolvingÂ up until our deployment.Â If any other sections at Bogue want to start their own ‘subdomain’ i.e. ARFF.boguerat.com with wordpress as the foundations, let me know and I’ll get you set up to manage your own gathering area.